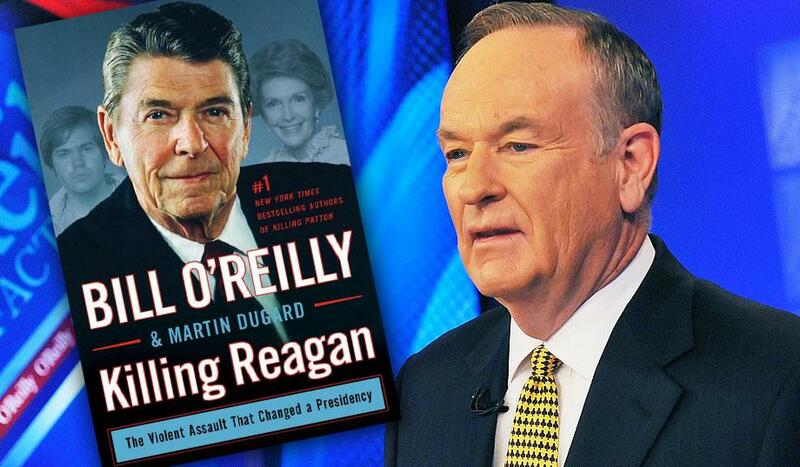 The story of Killing Reagan centers on the story of riding power of the President Ronald Reagan, when people tried to bring him down including assassination attempt within just two months. talents and actors who can work on the new movie. 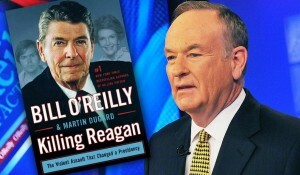 The filming of the Bill O’Reilly’s movie, Killing Reagan will take place in Atlanta, Georgia. So, all actors in Atlanta, Georgia you need to get ready as there are several roles for you! If you want to know more information on the casting calls and roles, check out the description below. The team is looking for some actors who can play secret service officials, bellman, campaign volunteers, and a ton more. So all those who think they have a free schedule from Monday, May 23, 3016 to early June, here is the chance for you! To know more about the roles, check out the details below. The team is in search of a man who can play bellman. This actor may belong to any ethnicity. He must be physically fit in size. His jacket should be 42, shoe 11 to 12 and waist 34. Actors must be available for fitting and he will be required to work on Monday, 23rd May, 2016 while the fitting week will be from May 16, 2016 to May 20, 2016. The rate will be $64 for 8 hours of work and the fitting rate will be $16. The team is looking for male and female actors who can play volunteers who may belong to any ethnicity. Also, they must be from 20 to 35 years of age. They must be available for the fitting, and have to work on Monday, May 23, 2016. The shoot rate is $64 for 8 hours of work and $16 for fitting. They will have to come for the fitting on May 16, 2016 to May 20, 2016. The producers are in search of some tough men who can portray prison guards. They may belong to any ethnicity and may be from 25 to 55 years of age. They must be available for the fitting and have to work on Wednesday, May 24, 2016 while their fitting date will be May 18, 2016 to May 20, 2016. The shoot rate will be $64 for 8 hours and fitting rate $16. The actors who are clean cut; here is the opportunity for you. The team requires long haired men who are well groomed. They must be available to attend fitting and have to work on 25th May, 31st May, 2nd June, 3rd June, 6th June, 7th June, 9th June, 10th June, 13th June, 15th June, and 16th June. Also, these actors have to attend fitting too, from May 18 to May 20 at the rate of $16 and the shoot rate $64 for 8 hours of work. The team is looking for male actors belonging to all ethnicities from 20 to 50 years of age. They must be available from May 24, 2016 to May 25, 2016 at the rate of $64 for 8 hours of work. The team is looking for some more male actors who belong to any ethnicity. They need to be from 20 to 50 years of age. The must be available for fitting as well shooting on May 25, 2016. The fitting will be from May 16, 2016 to May 20, 2016. The shoot rate for the role will be $64 for 8 hours and $16 for the fitting. The team is looking for preppy male and female actors belonging to any ethnicity. She must be from 30 to 65 years of age. She must be available for the shoot date on May 25, 2016 and fitting week from May 16, 2016 to May 20, 2016 at the rate of $64 for 8 hours and $16 respectively. The team is looking for some Caucasian male actors who have brown hair. They will have to play white house photographer. They must be available for shoot date on May 31, 2016 and on fitting week from May 16, 2016 to May 20, 2016 at the same above mentioned rates. The casting directors and producers are in search of some male and female actors who can play professional doctors. They must have some medical experience. They will be required to come for the shoot on June 2, 2016. Also, the fitting week will be May 16, 2016 to May 20, 2016 at the same rates. The producers are also looking for some female actors who can confidently play nurses. They must have some medical experience and should have a flexible availability on June 2, 2016 and the entire fitting week from May 16, 2016 to May 20, 2016 at $120 for 8 hours and $30 respectively. The team is looking for some actors who can play paramedics, nurses, doctors, orderlies, patients and many more. They must be available on Thursday, June 2, 2016 and have a full time availability from May 16, 2016 to May 20, 2016 at the rate of $64 for 8 hours and $16 respectively. The team is now in search of some senior and professional actors who can play doctors having some medical experience. They will have to come for the shoot on Friday, June 3, 2016 at the rate of $120 for 8 hours of work. Also, they will have come for the fitting week from May 16, 2016 to May 20, 2016 at $30. The team requires some female actors who can play nurses and have medical experience. They must be available for fitting from May 16, 2016 to May 20, 2016 at $30.The movie will shoot on Friday, June 3, 2016 at the rate of $120 for 8 hours. If you think you are suitable and have a flexible schedule, you should send all your genuine information along with age, height, weight, contact information, and all 3 recent colored pictures at Extras@RoseLockeCasting.com with the corresponding subject line. Apply soon, and good luck!